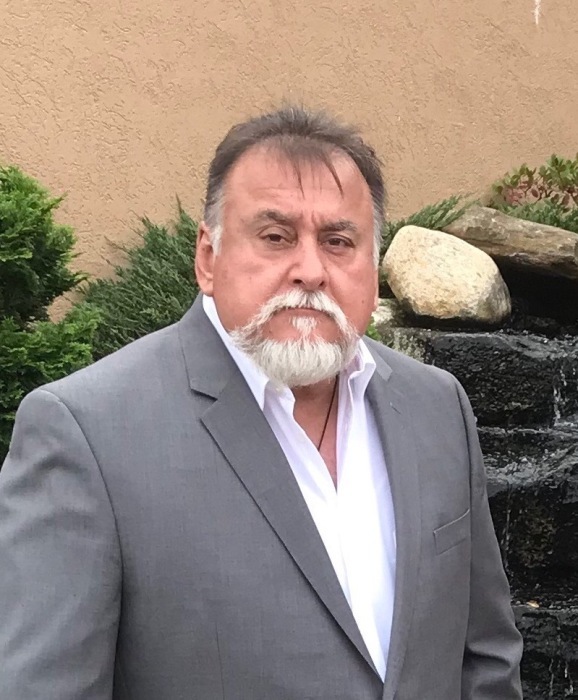 Juan Alberto “Juancho” De Jesus, 60, of Windham, passed away unexpectedly on February 2, 2019, at his home. Juancho, the eldest of 14 children, was born in Ponce, Puerto Rico on December 28, 1958 to the late Adela Ortiz and Juan De Jesus. Juancho was employed by Courville Garage in Montville, CT, where he worked as a diesel mechanic. He was fondly nicknamed “Iron Man” by his children because he loved what he did with such unrelenting passion. He was a die-hard fan of the Boston Red Sox and New England Patriots. Juancho was also extremely proud to be a member of his local chapter of the Knights of Columbus, Council 14. In 1983, he met the great love of his life, Carmen Yolanda Bianchi, to whom he was married for 35 love-filled years. From their love, came three beautiful children, Jessica Maria De Jesus (Daniel Navarro), Alberto Carlos “Tito” De Jesus and Joan (De Jesus) Chartier (Michael Chartier). In 2001, Juancho and Carmen moved their family to Willimantic. Along with his wife and children, he leaves behind his two beloved grandchildren, Pedro Andres Galarza and Elise Harmony Navarro. Juancho will be eternally missed by his siblings Carmen Ana, Juan Carlos, Carmen Milagros, Ada Luz, Juan Antonio, Marta Iris, Roberto Luis, Adela, Maria Ines, Juan Ramon and Rosarito. He also leaves behind numerous nieces and nephews. Juancho was predeceased his beloved son, Alberto Juan “Picky” De Jesus. Juancho family will receive relatives and friends on Thursday February 7, 2019 from 5:00pm to 8:00pm at St. Joseph Church, 99 Jackson St., Willimantic. His Funeral Mass will be celebrated on Friday February 8, 2019 at 11:00am at St. Joseph Church, Willimantic. Burial will be held at the convenience of the family. In lieu of flowers, the family asks donations in Juan Alberto's name be made to St. Jude’s, 501 St. Jude Place, Memphis, TN 38105. For an online memorial guestbook please visit www.poterfuneralhome.com.